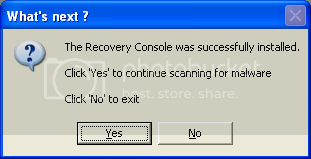 C:\Windows\svchost.exe (Trojan.Agent) -> 2220 -> Delete on reboot. O4 - HKCU\..\Run: [Adobe Acrobat Synchronizer] "C:\Program Files (x86)\Adobe\Acrobat 10.0\Acrobat\AdobeCollabSync.exe"
Update: Ok - when I boot to windows normally - it cites a malwarebyes.dll cannot be found. I click ok it continues to the windows 7 login - login ok. Longgggggggggggg black screen then the windows desktop populates very slowly. As soon as it is almost finished, the touchpad and keyboard are disabled. I can only use the computer in safemode. I really need some help! I appreciate anything that you all can do for me. Pleae run the following tools and post their logs.